Just wanted to pass this along to all our local riders. 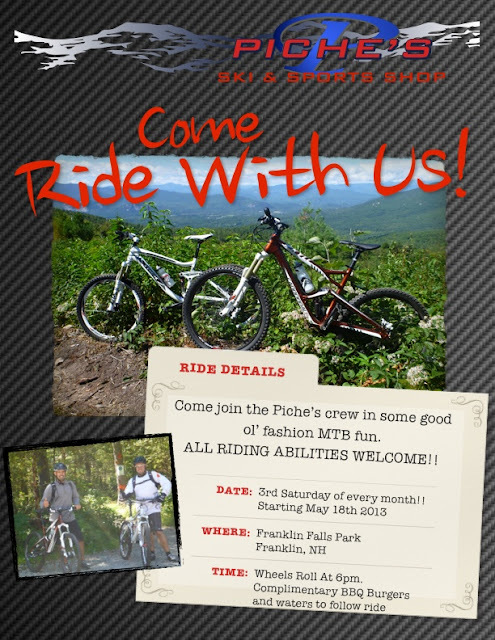 Piche's is starting up a Saturday night ride / BBQ the third Saturday of every month starting May 18th at Franklin Falls. Bikes and burgers...hard to go wrong.